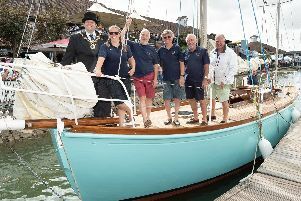 For this the elapsed time of 8hr 34min 09sec makes it one of the slowest line honours times recorded in the Island Sailing Club's annual 50nm Round the Island Race in association with Cloudy Bay. Their progress was hindered as they passed through the Forts when the wind shut off completely leaving them floundering and a traffic jam building up behind as a consequence. The first monohull to finish was Tony Langley's TP52 Gladiator with an elapsed time of 8.56.47. 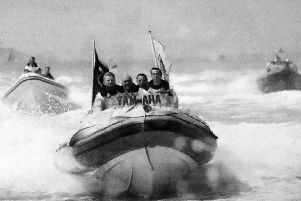 The 2018 event marks the 82nd actual Round the Island Race and the 87th Anniversary of the first.